Purim Oneg 2019 Recently updated ! 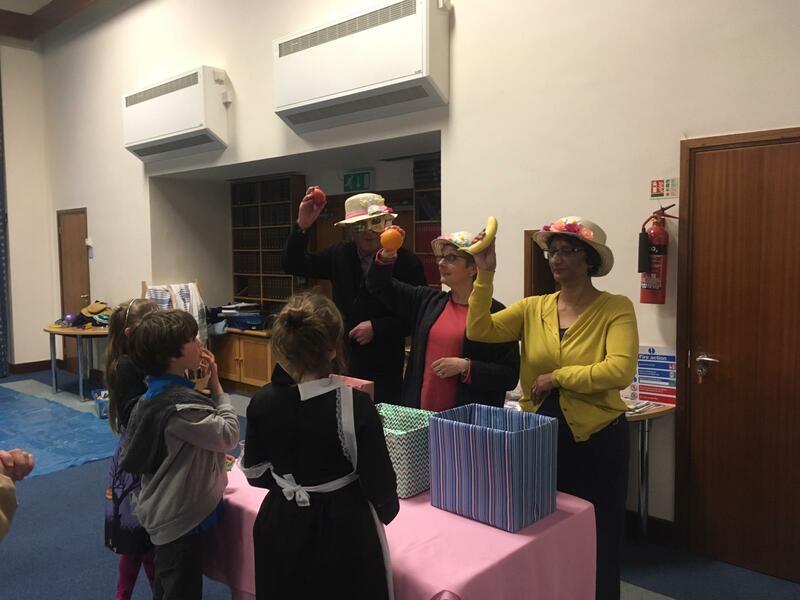 Thank you to everyone who came along to make our Purim Oneg so special. A musical Erev Shabbat service was a a lovely way to start. It was followed by a Megillah reading/spiel performed in our usual crazy NWSS way. All the performers really entered into the spirit but special mentions should be made to Stuart Lanceman who played Queen Esther and really seemed to enjoy the role (a little too much possibly! ), Jonathan Ralston who played Mordecai and seemed to think that Mordecai had arrived in Shushan from Jamaica via Dublin (you had to be there to believe the accent!) and Anthony Sheppard who once again played Haman and once again played it with gusto – it’s his role! 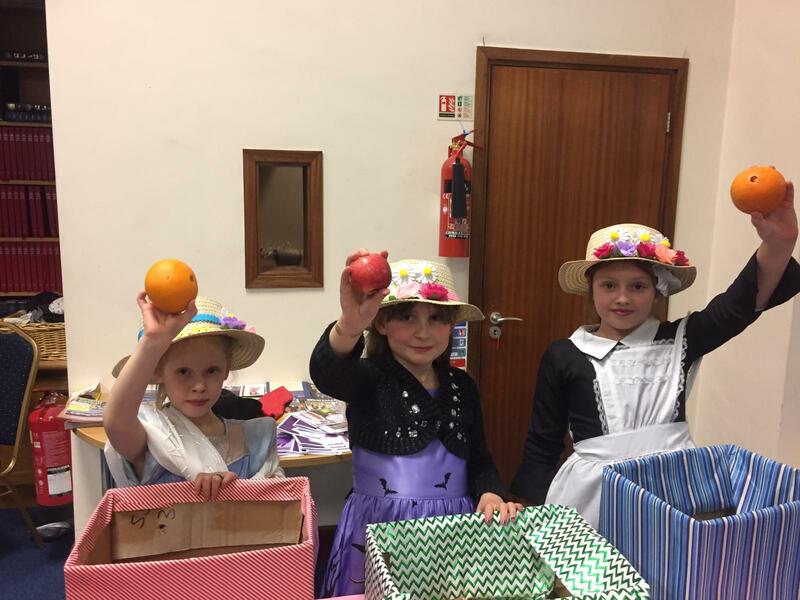 We then had a fancy dress competition with three winners – a little girl named Julia for the under 6s, Max and Theo Barker for the 6+ year old and Lisa Shattner for the adults. Well done all of you. After our shared meal we had a variety of activities laid out like a Purim Fair. There was something for everyone. Laura Cohn organised the bowling/skittles (which I particularly liked), Hamen in the stocks (where people threw wet sponges at our brave volunteers (Jonathan and Daniel Wallbank), a human fruit machine (Marilyn and Paul Glicker and I made strange noises and held up random pieces of fruit!) and a quiz stand (Vildana Cemiloglu devised two quizzes for children and adults, sheets of spot the difference and very funny jokes) and face painting and tattoos carried out by Rianna Farbey and Hara Birch. All of our stalls were very popular. Everyone seemed to have a lot of fun and was worth the hard work. 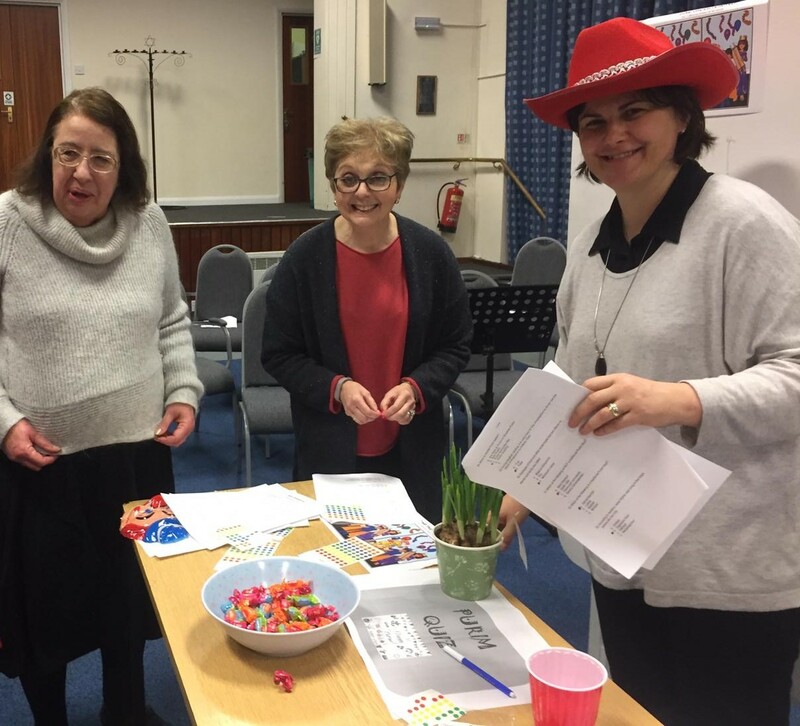 Thank you to Rabbi Kath, the Megillah performers, Katherine Sela and The Festivals Team (Laura Cohn, Rianna Farbey, Paul Glicker, Berna and Vildana Cemiloglu and Hara Birch) for making it such a successful evening.